Bowmore is nice. I have always enjoyed it. The 15 year old darkest was one of my favourite drams when I first got started with whiskies and I still have a special place for it in my own collection. Port cask finished whiskies are also (usually) nice. Balvenie 21 Portwood is an exceptional whisky and the new Talisker Port Ruighe is a good example of port finishing. 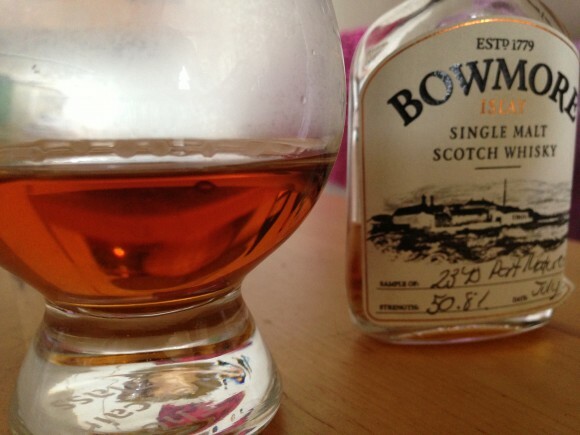 So, when the Bowmore 23yo Port Cask Matured was announced, I jumped at the chance to try some. The difference between this Bowmore and the other whiskies that I have mentioned is that it is wholly matured, for the full 23 years, in Port casks. That is a lot of time to spend in a strong and influential cask. Bowmore, in my experience, has a strong character to it’s spirit. The peat factor is there, slightly lower than it’s local rivals, and the smoke is balanced by a characteristic aroma of sea-salt, perfume and Parma Violets. Add the flavours of 23 years in a port cask (traditionally imbuing a richer yet drying sweetness on a whisky) and you may have a potent amalgamation of gentle salt-licked smoke and spicy sweetness to deal with. Nose: A serious whisky with a deep and rich aroma. An initial floral sweetness greets the nose; gorse, heather and the typical Bowmore Parma Violet note. It moves aside for a richer salt-speckled caramel note, dark chocolate and rum soaked raisins. The last little kick brings BBQ smoked lamb, covered in pepper, honey and sweet spices. Palate: The palate acts in reverse to the nose. First comes the briny, dry charcoal smoke. It covers the palate with hot BBQ smoke, frazzles and a slight citrus note poking through. Once the smoke leaves the sweetness is left, although it is still lightly salted, like honey glazed ribs sprinkled with ginger. It is quite peppery on the palate but eventually gives way to the floral sweetness. Parma violets come through with heather honey and a dry orange zest. Finish: The dry smoke is lingering and accompanies the tangy orange zest for a long, warming finish. 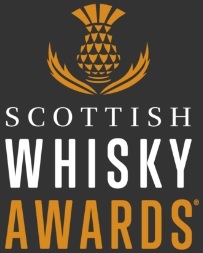 Overall: A beast of a whisky and unmistakably a Bowmore. 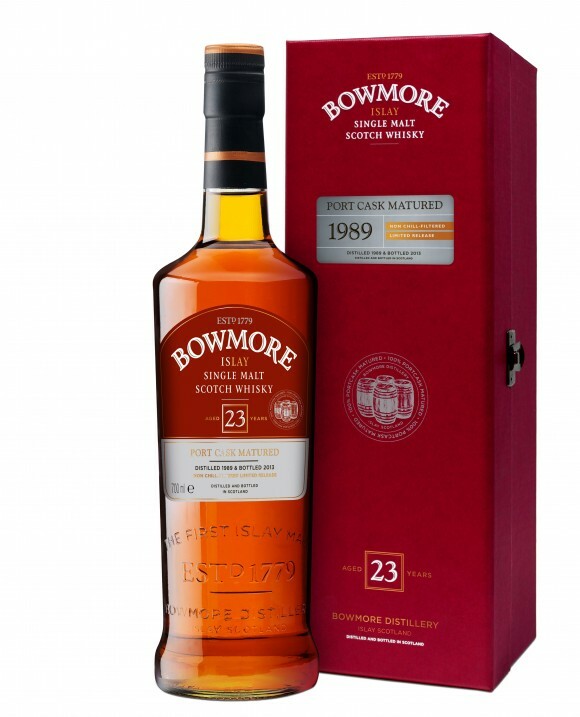 The Bowmore 23yo Port Cask Matured has smoke, salt, perfume and sweetness that all pick a time to attack your senses. A whisky to sit and enjoy over a lengthy period of time. It is a very good whisky, but £380 is a lot of money, especially when the you can get the great 25yo for a lot less. If you have the money and you love Bowmore and unique experiments then I would definitely buy it. Otherwise, you should at least try it once to experience the brilliant flavours fighting for attention on your palate. 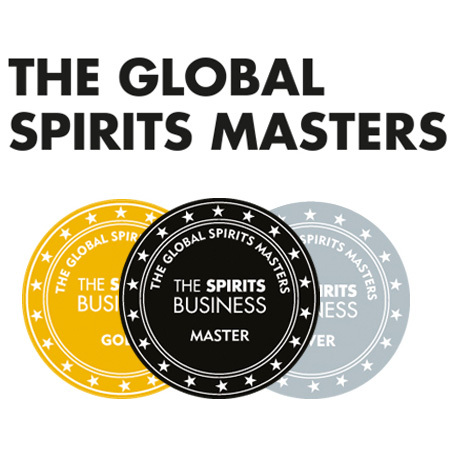 A definite success for the full port cask maturation experiment! Would you pay the £380? This entry was posted	on Friday, August 16th, 2013 at 8:43 am	and is filed under Reviews. You can follow any responses to this entry through the RSS 2.0 feed. Responses are currently closed, but you can trackback from your own site.